Australia’s Trusted Medical Communication Strategist to the Pharmaceutical Industry. phuze is a medical communications consultancy focused on creating high quality educational content. By partnering with healthcare professionals and patient stakeholders, we produce programs that drive behaviour change and improve healthcare delivery. Our ultimate goal is to help our pharmaceutical clients connect with healthcare professionals and, in turn, help healthcare professionals achieve the best clinical outcomes. The pharmaceutical industry has been successfully communicating the benefits of its products to healthcare professionals (HCPs) for many years, but things are changing. Conventional marketing and communications are giving way to medical education, with a new focus on improving health outcomes. Medicine is more specialised than ever before, and HCPs need up to date information on the diseases they deal with and how to treat them. How do you, as a pharmaceutical marketing or medical affairs executive, integrate education into your communications strategy? Can you shift your focus from promotional material to engaging with HCPs and giving them the information they need? Louis Reginato is a recognised expert on integrating medical education into your business's overall communication strategy. With more than 25 year's experience in the pharmaceutical industry, Louis has worked in marketing, public relations and educational roles across the sector. Having completed a science degree, Louis found himself drawn to marketing and communications, rather than research. He started his career in healthcare with Glaxo (now GSK) as a medical representative and then moved into marketing where he worked on one of their most successful asthma products. Louis also worked for a global public relations firm before setting up his own PR consultancy. He then took the decision to specialise in medical education. The key to Louis' success is his in-depth understanding of the industry and the clinicians who rely on it. Through working closely with healthcare professionals, Louis has built up vast knowledge of what they're looking for from medical communications and how to deliver that to the widest possible audience. Drawing on his own experiences, and the insights gained throughout his varied career, Louis knows that there's a lot more to successful medical communications than just adapting conventional marketing techniques to deliver slightly different information. Building your brand in today's pharma industry poses new challenges, and it takes a different approach to overcome them. 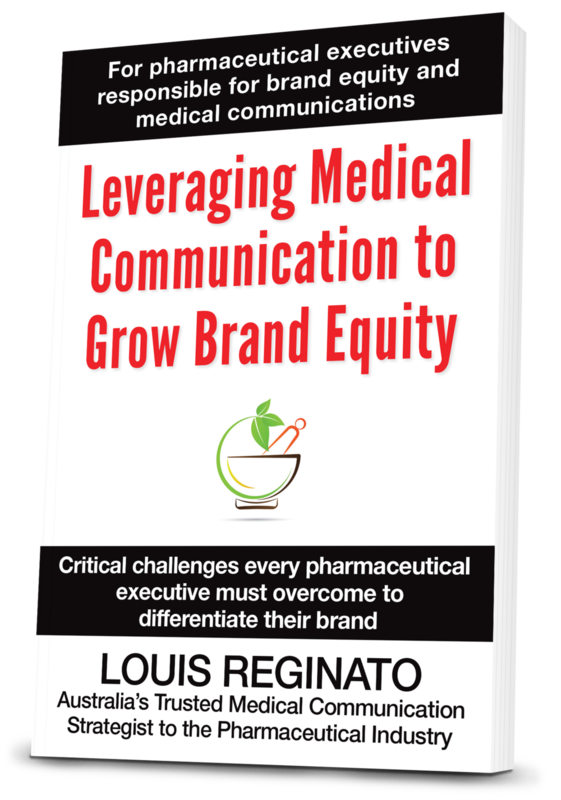 In his new book, Leveraging Medical Communication to Grow Brand Equity, Louis reveals the myths that hold companies back from communicating effectively. Drawing on case studies he's been personally involved with, he lays out the principles of medical education and how you can build them into your business strategy. Want to LEARN more about a medical education model? Free Book - Free Shipping! Ready to COLLABORATE to leverage your medical communications?